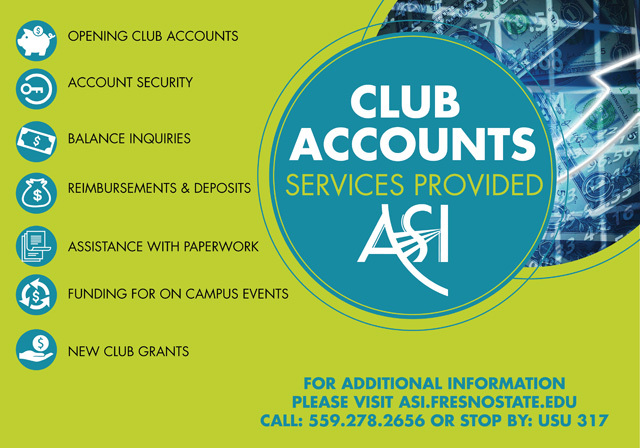 Associated Students, Inc. provides recognized student clubs and organization a safe and convenient way to manage on-campus bank accounts. Planning an event...but need funding? 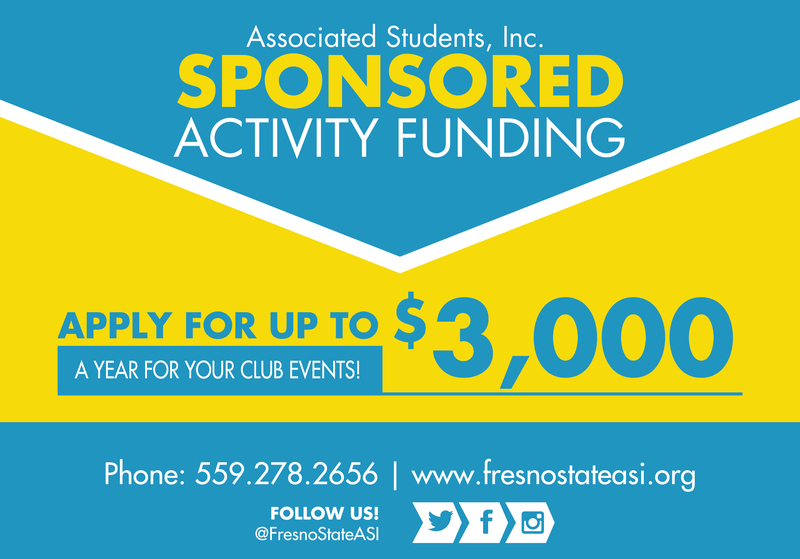 Associated Students, Inc. provides supplemental event funding for recognized student clubs and organizations at Fresno State. 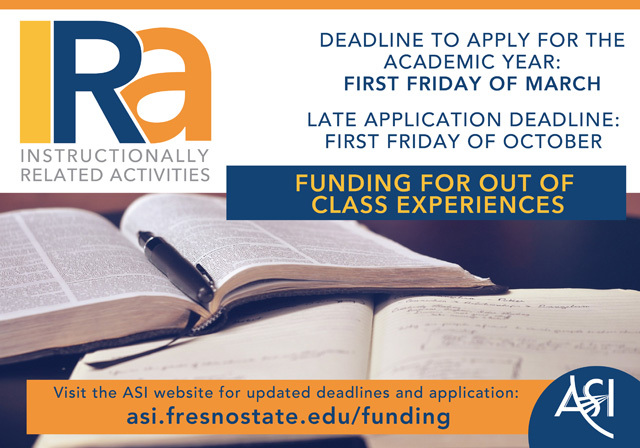 The goal of the Instructionally Related Activities (IRA) program is to provide student fee funding for out-of-class experiences for students participating in an academic program, discipline, or department where those experiences are integrally related to one of its instructional courses. 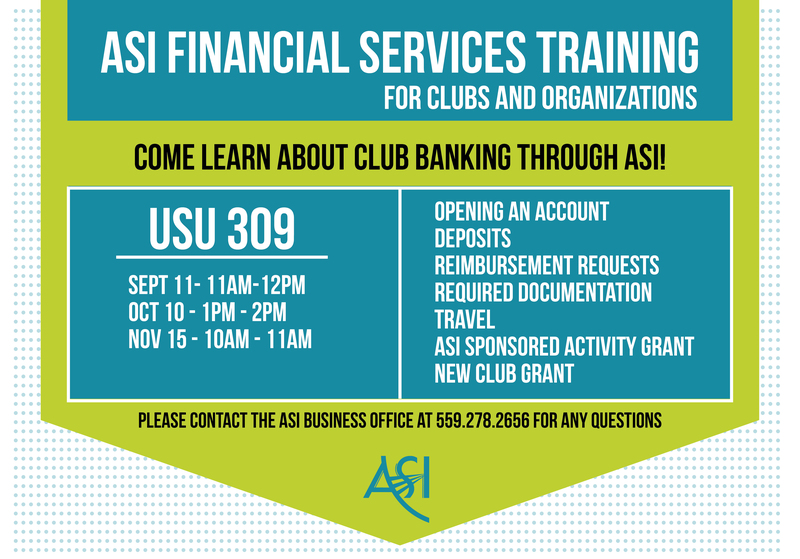 ASI Financial Services Training For Clubs and Organizations. 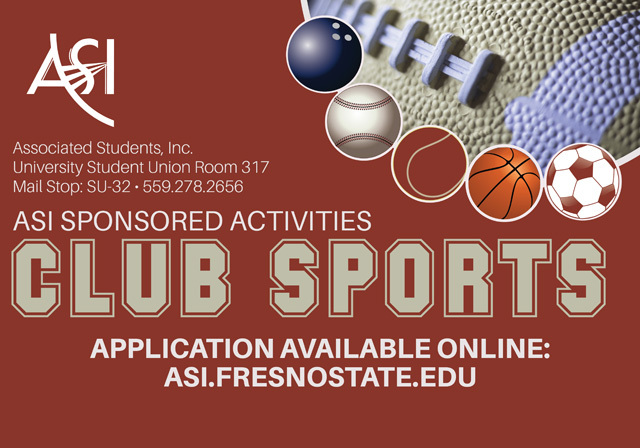 Learn about club banking through ASI!